Celebrate HBO’s global phenomenon, Game of Thrones, with this deluxe postcard set featuring 100 unique images from the hit TV show. From dazzling costumes to intricate set design and breathtaking filming locations, HBO’s Game of Thrones features rich visual storytelling elements that bring the world of Westeros to life. Collected in a deluxe keepsake box, Game of Thrones: The Postcard Collection includes 100 unique images from the series to be cherished and shared with family and friends. 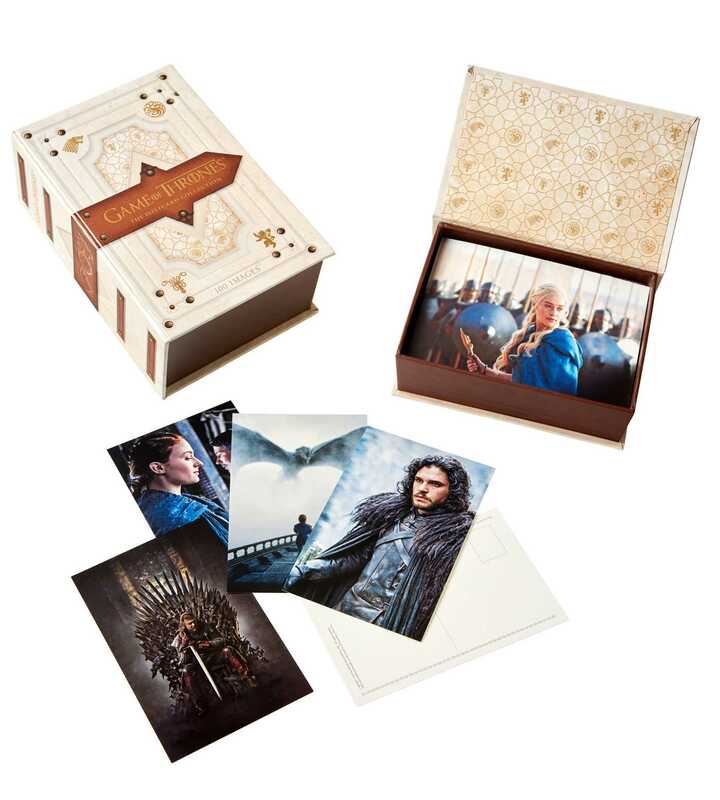 Featuring memorable moments and images of your favorite characters, including Daenerys Targaryen, Jon Snow, Arya Stark, and Jaime Lannister, this beautiful postcard collection is perfect for celebrating one of the most popular and visually compelling series on television.